From Kampala, Uganda, Fred Mutyaba is the first international Business Consultant of World Advisory! As the capital and largest city in the African nation of Uganda, Kampala is one of the fastest growing cities in the world. Fred will be managing World Advisory’s operations in Kampala through hosting our Small Business Networking events, forming Partnerships, working with local entrepreneurs, and helping our Clients to start and grow businesses. Fred grew up in the small Ugandan village of Luweero and began working at 8 years old to pay his way through school. 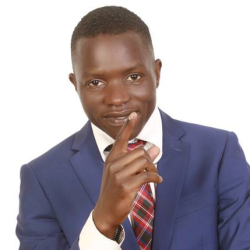 His passion for entrepreneurship led him to receive a degree in Business Administration from UMCAT Kampala School of Journalism and Mass Communication. Fred is a very talented musician and was invited to perform guitar in Europe, which became a life changing experience for him. While in Europe, he participated in a business coaching training program that inspired him to motivate and help fellow young Africans in business. With a belief that the sky is the limit and with his heart set on helping others to change their lives, it’s Fred’s ultimate goal to become Africa’s leading Business Coach. We’re thrilled to be working with Fred and to have him leading us into this new phase for World Advisory in Uganda.